Today we fenced a pool in the Central Tablelands with our temporary pool fencing. We enjoy driving west through places like Bathurst and Orange as it is less hectic than bigger cities and some of the countryside is just wonderful. This customer has moved from Sydney and has two young children and there was no fencing at all around the pool. 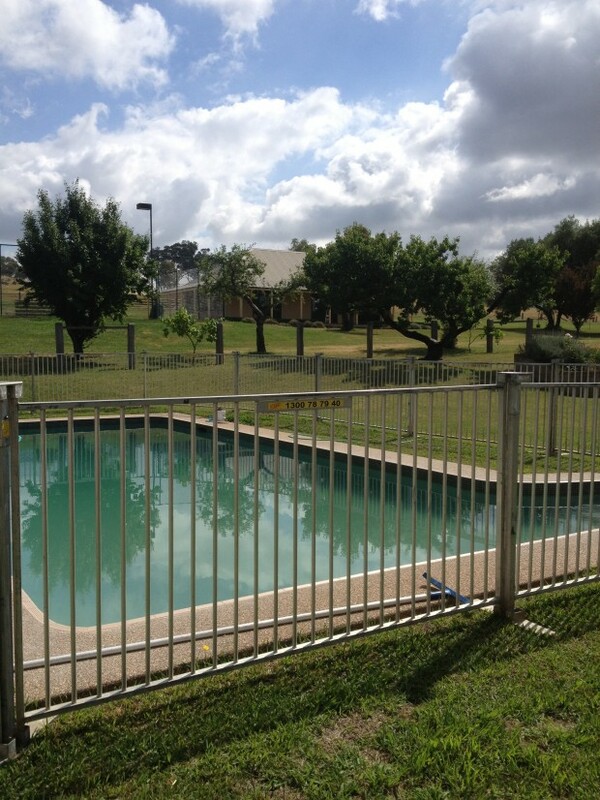 This property is more than 5 acres in size and the pool was built before June 30 2010 and therefore qualifies for the exemption to fence the pool. Obviously with two young children, safety is more important. Some pool owners are of the opinion that an exemption applies for the life of their pool. This is not correct. Some exemptions remain allowing retention of existing child-safe/child-resistant doors for large properties more than 5 acres with residence separation only. 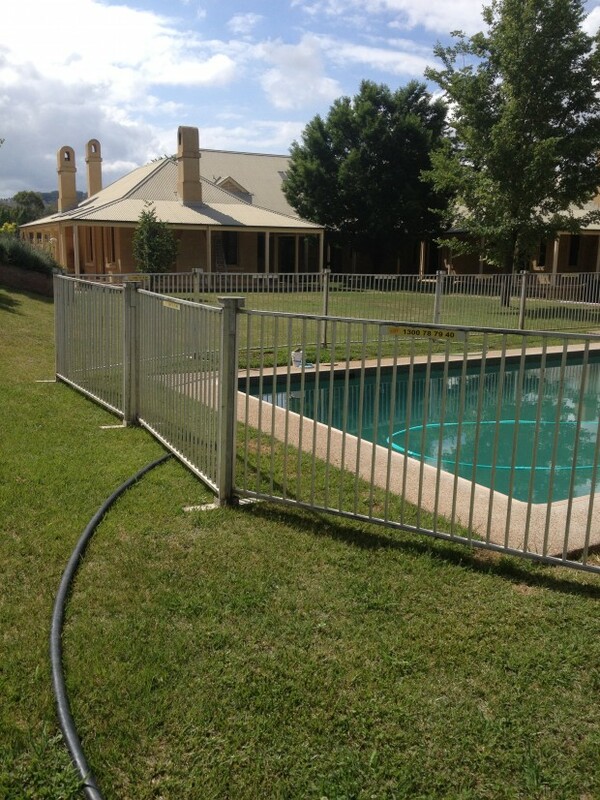 To retain the exemption that was available to the pool at the time of construction requires that any pool barriers/means of access, continue to comply with the standard applicable at the time of their installation. These exemptions primarily relate to the use of child-safe/child-resistant doors as a pool barrier which the current standards do not allow. Exempt barrier no longer applies and is removed where access to a pool or pool barrier is substantially altered or rebuilt, not properly maintained or the pool is fenced voluntarily and must then comply with the standard current at the time of the alteration. As always, it is better to be safe than sorry and you should check with your local Council if you are unsure about the safety of your pool.